Do you love salt & vinegar chips? Crisps? Are you looking for a new way to up your side dish game? 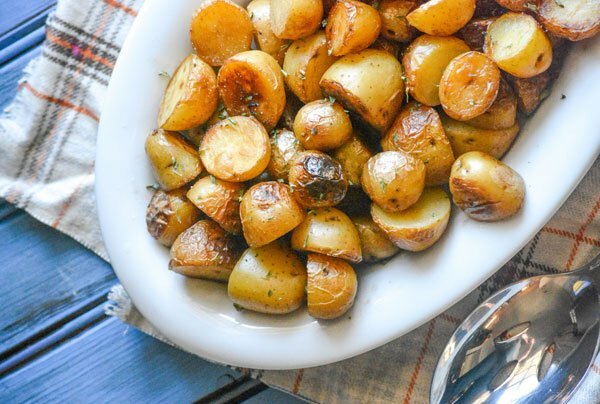 These Crisp Salt & Vinegar Potatoes are a fun new way to revive the tried and true stand- alone potato. I’ve loved Salt & Vinegar flavored potato chips almost as long as I can remember. Seriously. I have no recollection of ever not loving them. And what’s not to love?? It’s a heady combination, never mind that fact that too many will leave my tongue raw and feeling ripped to shreds. I was kinda surprised to learn that they aren’t actually made by pouring vinegar over sliced potatoes, or even marinating them in it, and then salting the finished chips. Apparently that would make a soggy potato that would never crisp up into the crisp snack chip we all love. Instead, the chips are cooked with whatever method the maker prefers, and at the end of the process are tossed in powdered vinegar and salt. Not nearly as appetizing to think about, but yummy all the same. A new age spin on another age old process. Well, the drying of vinegar that is. I still wanna get my fix in though, albeit without the tongue ravaging aftermath. And most definitely without all the work of making homemade chips. Which really got me thinking. How could I do this then? I’ve always got potatoes on hand. And like any other every day miracle, unto our household these Crisp Salt & Vinegar Potatoes were first born. They’re a perfect alternative to the traditional, and often over done- or overindulged- mashed potatoes. Not that I’m knocking them. Lord knows I love potatoes in all their glorious forms, but there’s something to be said about shaking’ things up in the side dish department. It can revitalize a whole meal, especially one as big as a Holiday dinner. These would go perfectly with turkey, chicken, ham, even steak. 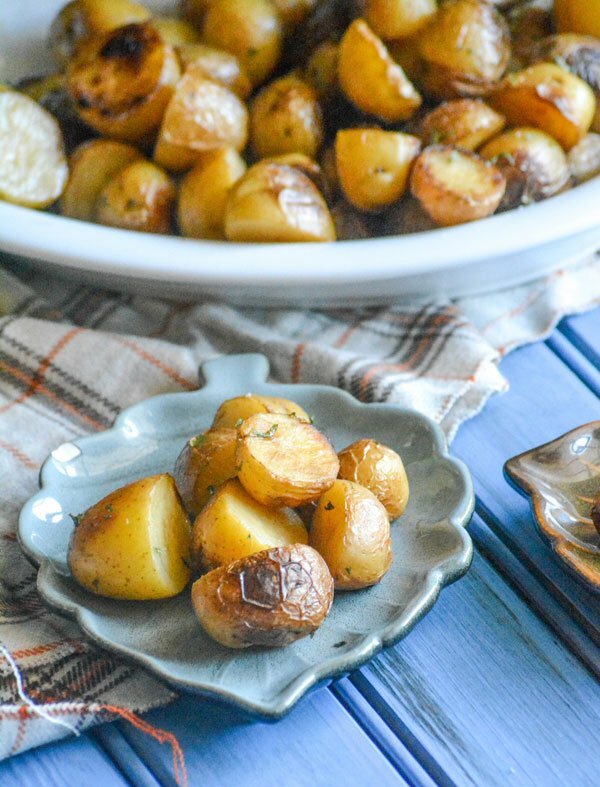 Making these Crispy Salt & Vinegar Potatoes an ideal option for any dinner you want to add a little something special too, including holidays like Thanksgiving, Christmas, even Easter. 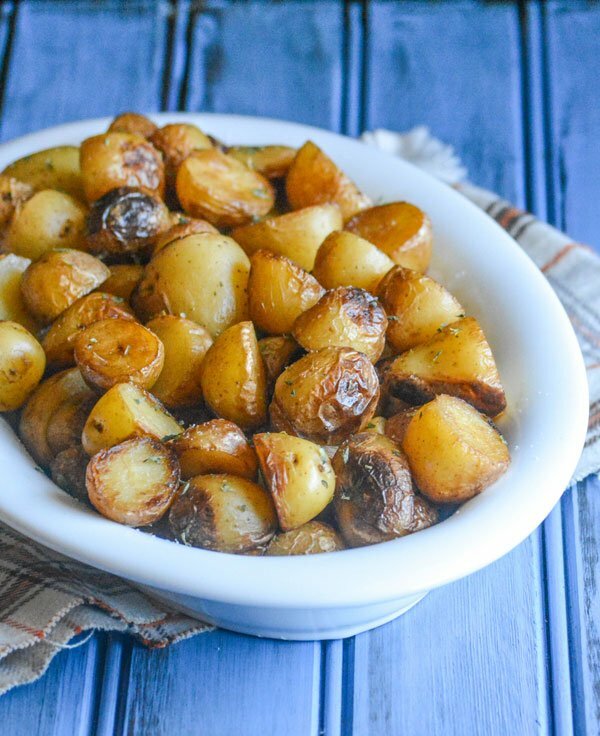 Chopped potatoes are boiled in a pot of water with a heaping cup of vinegar and a tablespoon of salt, then reduced to simmering for 20 minutes, or until the potatoes are fork tender. They’re then drained in a colander, and allowed to rest in it for 2 minutes so that their own steam dries them out a bit. Don’t skip this step, trust me on this. Butter’s melted in a cast iron skillet, then the potatoes are added to the hot butter and fried until golden brown and crispy. 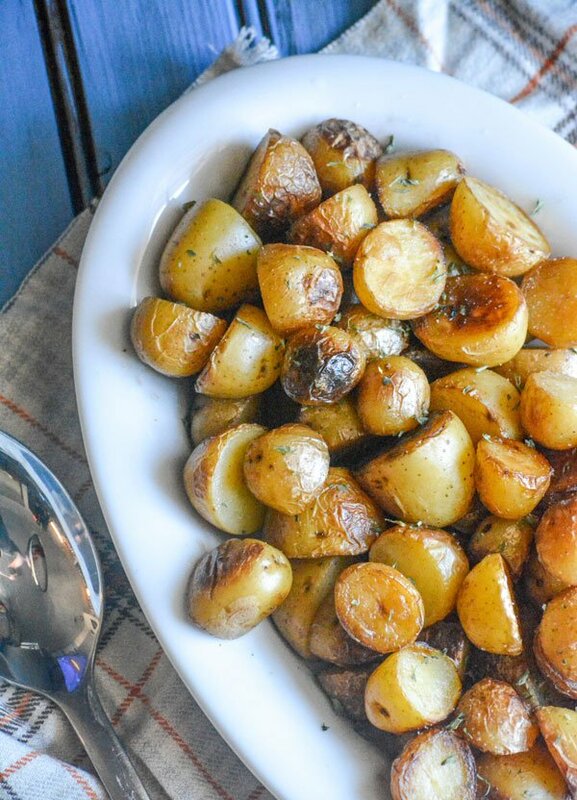 What’s better than crispy, golden brown potatoes?! 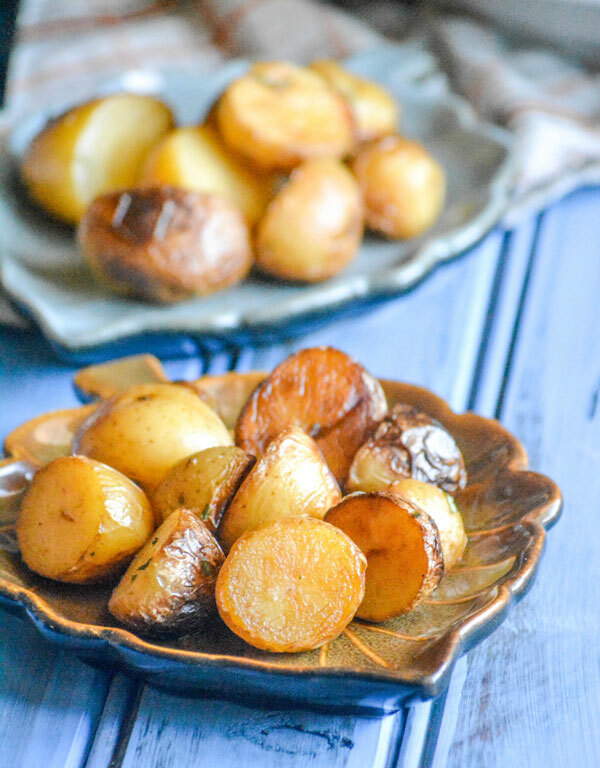 These Crispy Salt & Vinegar Potatoes are then transferred to a serving dish of your choice, drizzled with the an additional teaspoon of white vinegar and sprinkled with flaked sea salt. At this point, these bad boys are ready to eat as is- BUT if you want to add a little extra infusion of flavor, you can grind fresh black pepper over them and/or top with chopped chives. There’s no way you can go wrong, however you choose to serve and enjoy them. To a large pot, add the potatoes, 1 cup of vinegar, and the tablespoon of salt. Add water to the pot, until it covers the potatoes by 2 inches. Bring the pot to a rolling boil, reduce heat to medium low, and then simmer the potatoes for 20 minutes, or until fork tender. Transfer the potatoes to a strainer to drain, and let them rest there for a minute or two while the steam dries them slightly. Heat the butter in a large cast iron skillet, over medium high heat, until melted and hot. 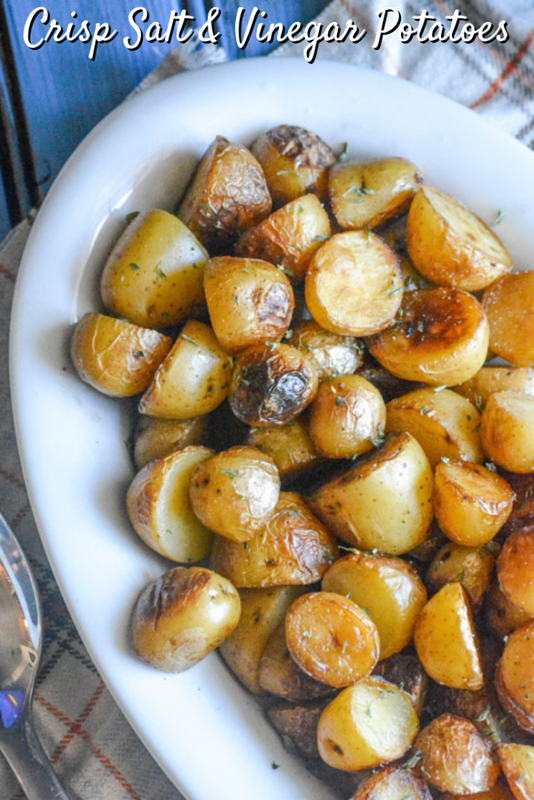 Stir in the potatoes, season with salt & pepper, and fry until the potatoes are golden brown & crispy. 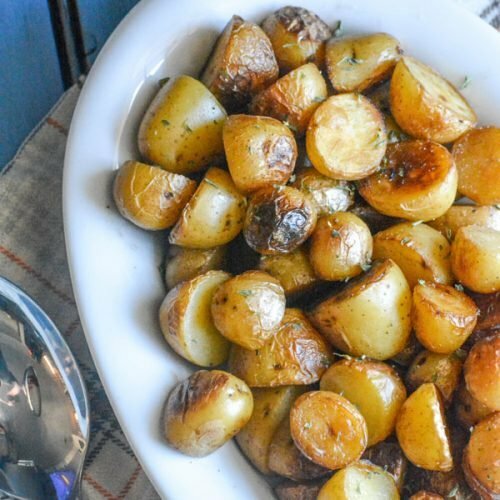 Transfer the fried potatoes to a serving dish, and drizzle with the remaining vinegar. Sprinkle with the flaked salt, and then garnish with the chives- if using. They are making my mouth water! I think I would love these… Oh, yeah, I KNOW I would love these. I am pretty much eliminating potato CHIPS from my diet, but my favorites were plain, BBQ or salt and vinegar… These however… healthier variants and what a great idea! (I had wondered how one gets the vinegar flavor in without sogginess….) Thanks for sharing with Fiesta Friday.